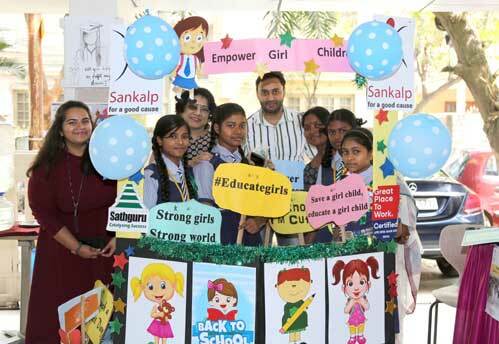 Hyderabad : Sankalp has hosted its annual Fundraising Food Festival ‘Khaan Paan Dhukan’.The initiative was organized with a view to raise funds for supporting the education of girl children across India, focusing on Hyderabad. The Food Festival served Hyderabadi, Continental, Chinese, and Indian cuisine. While the majority of food was cooked and served by all the employees of the company, the initiative was also supported by Minerva Grand & Sai Charan Catering. Bright faces and smiles of children from two of the Sankalp supported schools turned the event livelier. The children engaged the audience through their self-created innovative games making the fundraiser event an apt platform to even meet the children for whom these funds are raised.